thanx Botond for taking the time to comment.. Very good lighting! 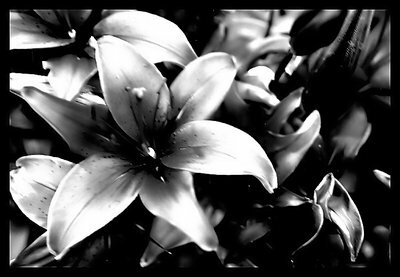 It's pretty hard to make a B&W flower, good job! thanx dear Galal.. its ok my friend. Congrats on the BIP Dear Enas , sorry for delay but i just notice that today , Kind Regards . thanx Khaled .. both BIP were at the same time late after the uploading ..
its better late than never ..! Hey Enas, I commented on this photo before but I didn't know you've got BIP award for it. thank u Arwa.. am really happy u r back..
thanks Matthew for passing by..
may be next time u can find the tones u like!! I believe this shot wdnt vebeen this excellent in color , really reminded me of Ansel adam's classics, congrats. The contrast is rather harsh... I would like to see more tones of grey. But otherwise, very dramatic. no Nour u r not wrong about the focus .. but as i told Ameed.. in here its the feeling it brought to me that made me post it .. it doesnt matter if its a little out of focus..
thanx Roberto for passing by..
mmmm thats a good question ya Khaled.. B&W or colored dreams..
for me i have them both ..
but i think dreams r not always perfect..! thanks dear Fadel for that comment .. happy u got the mood! thank u dear Ameed for the nice words.. sometimes i know its little shaky or blury but i like the composition itself and the feeling it brings to me so i post it after all..!! Thank you for comment in mu dragon! I like the cropping and the composition, the are excellent. PS, do we dream in B/W or in color? just a question. Wonderful composition and tones Enas. I agree it's out of focus but still it has nice mood! THe composition is superb, i just feel it need a more focusing, just a feeling could be very wrong.